NEW YORK (CBSNewYork) — Dozens young and old gathered Sunday to give back to the community. As CBS2’s Reena Roy reported, the West Side Institutional Synagogue prepared about 1,000 pounds of vegetables to feed the needy. The simple acts of chopping and peeling are part of everyday life, but can sometimes mean so much more. “It’s very important as a society to help other people,” another volunteer said. After all, food is the way to someone’s heart. In this case, hundreds of strangers will now get a hearty meal or two thanks to the volunteers who prepared thousands of fresh produce for the needy. “Not everyone has the chance to have food everyday, so it’s good to help them out,” a volunteer said. “It’s a chance for us to get down and dirty and show our children what it means to help other people,” said Daniela Schwebel. 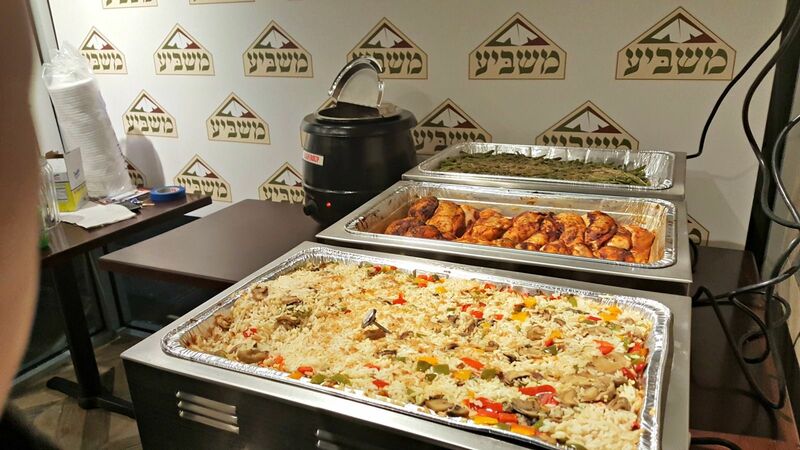 This was the second annual Family Chesed Day at the West Side Institutional Synagogue. Chesed is the Hebrew word for charity or kindness. It was the perfect mitzvah, or good deed, ahead of the Jewish holiday Purim on Wednesday. All the fruits and vegetables will be going into crates that will be headed for the Masbia Soup Kitchen, where they will turn into delicious meals for 400 people over the next five days. And of course, giving back has no age limit. The youngest of the volunteers were too small even to pick up kitchen tools and used art supplies instead to make cards by hand to go with the meals. The less fortunate thus will go home not just with full bellies, but full hearts during the holidays.